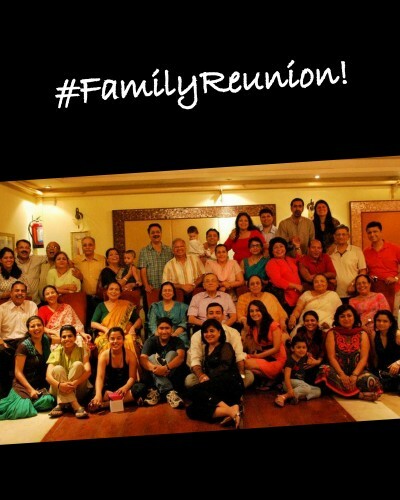 Why Being Part of a Big Indian Family Is So Much Fun! In this day of nuclear families, most people grow up surrounded by only two or three family members and rarely get to experience the joys of a typical big Indian family setup. But those of you who are lucky to have grown up as part of a joint/big family, will definitely identify with these experiences. Read on to find out just why being a part of a big family is so much fun! 1. You are never alone. And therefore never bored! 2. Dinner tables always look overcrowded and you have to scream from one end of the table to the other to get someone to pass the food to you. It's like a party every day! 3. There is never a shortage of clothes in your house. You can always borrow from one of your cousins. 4. All the elders are like your parents - always ready to help you out and dole out useful advice. 5. Vacations are the highlight of your year. You look forward to going out of town with your ENTIRE family and having a blast simply because you are all together! 6. If you are sad or unhappy, there is never a dearth of people to cheer you up and tell you that it’s going to be all right. 7. Your grandparents and great-uncles and great-aunts dote on you and fulfil your every wish. 8. Weddings are so much more fun when you are a part of a BIG family! 9. You learn to “perform” and showcase your talents thanks to all the family performances you have had to give all your life. 10. Did we mention the family WhatsApp group? 11. You are just as close to your cousins as you are to your own brother or sister. After all, you've lived with them since you all were roaming around in nappies! 12. At some point of the other, you've been pampered by every single person in the family! 13. Since there are so many of you, you probably get to drive around in an Innova or another big and fancy car which you use when travelling together. 14. When driving to an out-of-town location for a family picnic, you often had to book a bus so that everyone could fit. WHO doesn't want to have their own bus?! 15. You've never had to play by yourself as a kid - there was always someone or the other who was around to become your partner in crime. 16. Even though sometimes you have fights and disagreements, your family is your ultimate support system, and no matter where you go, you make it a point to stay in touch with each and every one of your family members. GIFs: Giphy.com, bollypop.in, collegecandy, viralstories.in MUST-READ: #OOPS: Lies We Have All Told Our Parents As Teenagers MUST-READ: #LifeHacks: 15 Things Every Woman Should Do for Herself Every Year!